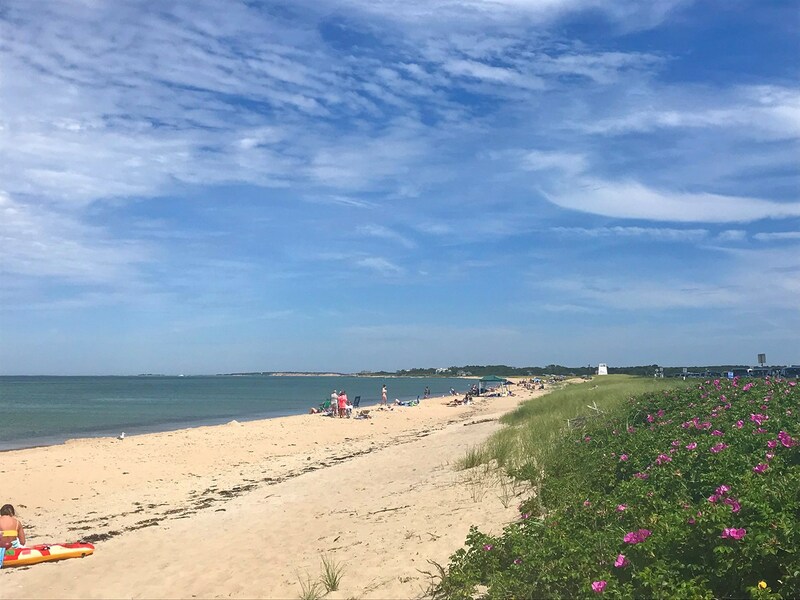 Things to do in a day on Martha’s Vineyard! Gingerbread Houses—Laced with whimsical gingerbread features and painted in delightful, bright colors, the Victorian “Gingerbread Cottages” of Oak Bluffs are a treat to visit! The architectural style of the cottages is known as Carpenter Gothic, common in North America in the late Nineteenth Century. These structures grew out of a 19th-Century religious camp-meeting movement. Before the cottages were erected, worshippers stayed in large canvas tents. Over the course of 50 years, the area grew into a village of famed Gingerbread Cottages that is now a cherished New England historic site. 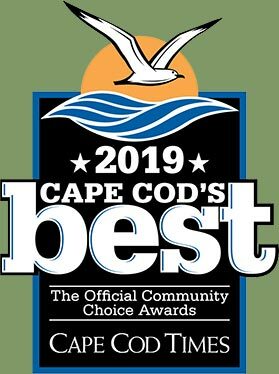 Ocean Park—Located just off the iconic and historic Copeland District, where many Gingerbread Cottages are located, is sprawling Ocean Park offering incredible views of Vineyard Sound. There is a gazebo in the center of the spacious, open Park often offering free concerts, ceremonies, and events. 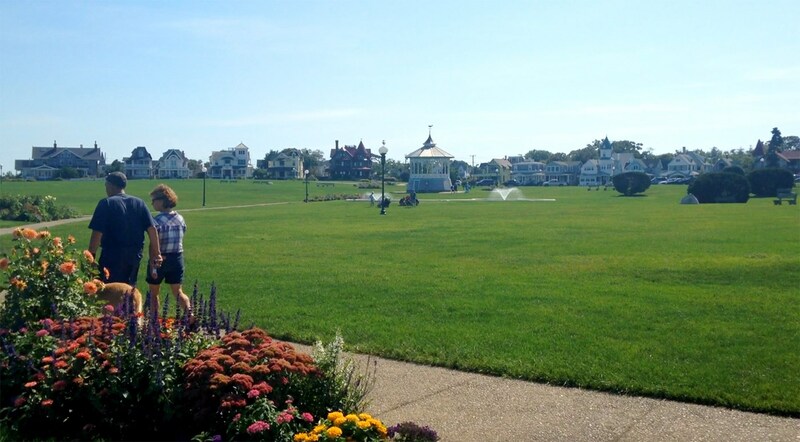 And, of course, the Park provides the prime viewing site for the annual Oak Bluffs Fireworks every August. 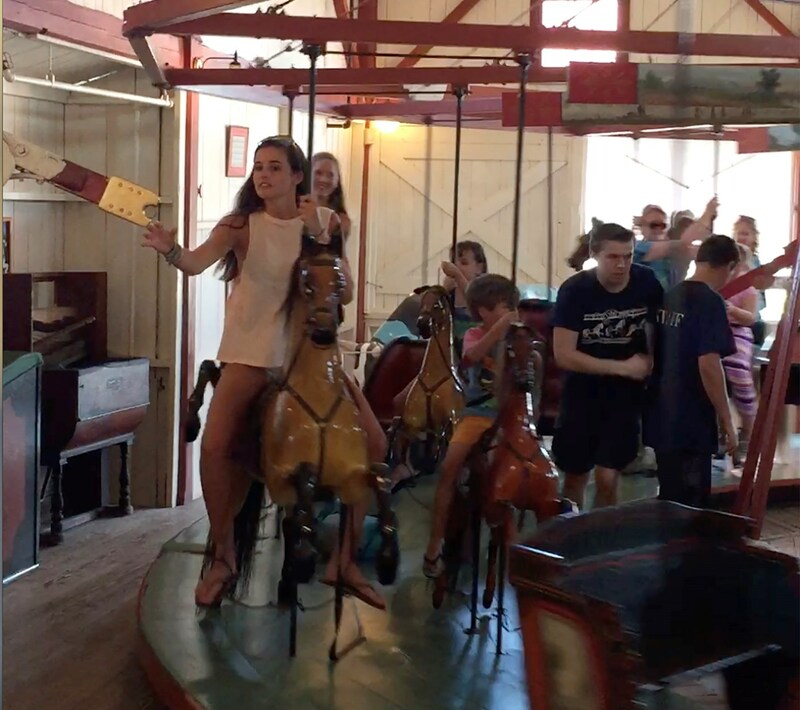 “Flying Horses” Carousel—Located right at the bottom of Circuit Avenue in the heart of Oak Bluffs, the carousel was recently restored and is both beautiful and fun for all ages. It is the oldest platform carousel in the United States and a National Landmark. Restaurants—There are many great eateries in Oak Bluffs! Grab some tasty Mexican food at Sharky’s Cantina or enjoy the view while you eat, sitting right on the water at Coop de Ville. Stop by the Offshore Ale Company for a pub-like atmosphere, and grab a fistful of peanuts and a pint of craft beer while you wait for your pizza or fish and chips! Steps from the ferries can also be found great seafood at either Nancy’s or the MV Chowder Company. Joseph Silva State Beach—If you’re feeling a little adventurous, rent a bike for the day and head out to this beautiful stretch of white, sandy beach. Walk through paths of beach grass and rosa rugosa to enjoy the beach’s calm, warm Nantucket Sound waters. The “Jaws Bridge”—Located on State Beach and the road between Oak Bluffs and Edgartown, this wooden two-lane bridge is famous for being in the film Jaws. Most days, you’ll find people jumping, flipping and diving off the bridge, which has become a “summer rite of passage” for many. 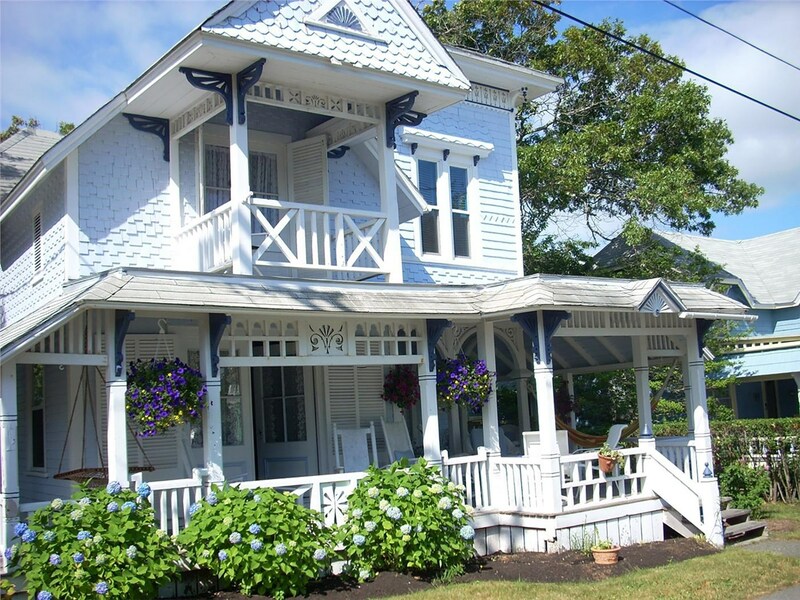 Oak Bluffs Walking Tours—Stroll around Oak Bluffs on a 75-minute guided tour including many historic treasures and points of interest. 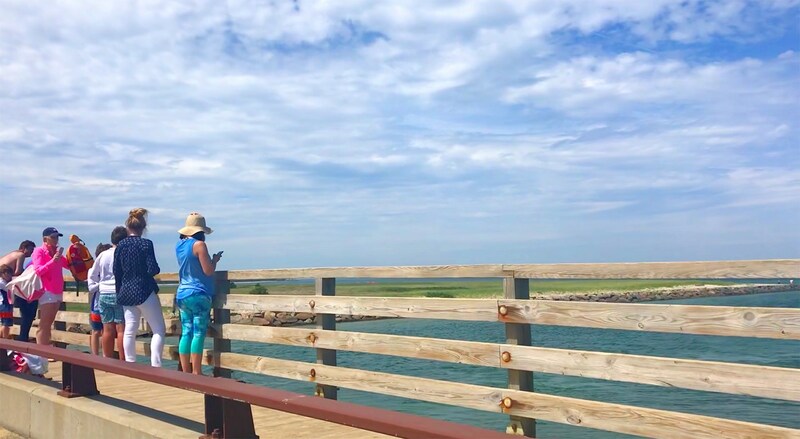 If you’re looking to experience a little slice of Island life and a bit of adventure, head to Oak Bluffs for the day—it surely won’t disappoint! Recharge at Cape Cod’s Favorite Coffee Shops! Favorite Spring Hikes on Cape Cod! 5 Best Secret Beaches on Cape Cod to Visit! 6 Reasons to Love Spring on Cape Cod!